This powerfully inspired version of most of Paul's letters, reveals the heart of God for His people in the most extraordinary of ways. 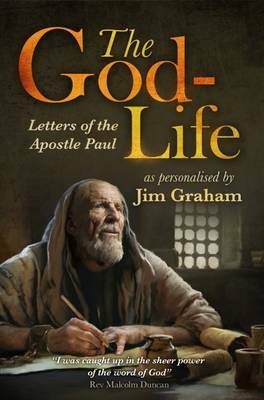 Jim Graham gets right to the core of the Apostle Paul's writings, opens our eyes to see afresh God's intentions for Christian living and challenges us to live our lives accordingly. Variously described by pre-publication reviewers as a "superb interpretation", a "brilliant paraphrase", a "spiritual treasure" and a "remarkable book by an extraordinary man of God". Includes Romans, Galatians, Ephesians, Philippians, Colossians, 1 Thessalonians, 2 Thessalonians and 1 Timothy.